Cyber Saber Rattling – Real or PSYOP? 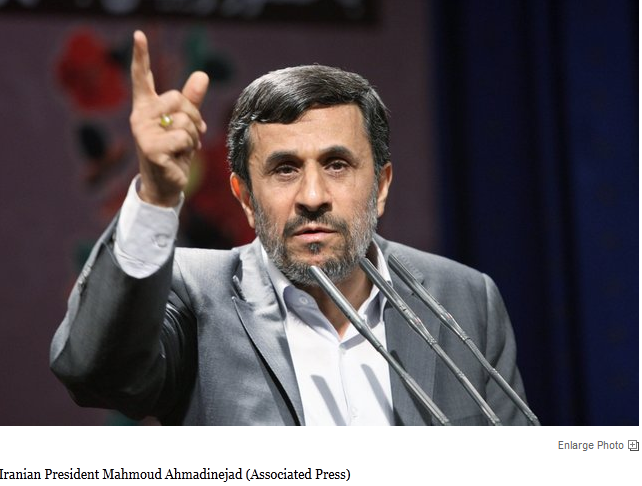 This is but one front in the multi-pronged engagement between the West and Iran. Others involve the UN and means include sanctions and growing calls against Iranian nuclear efforts. This raises a number of interesting questions. Are the reports of Iran’s ‘cyberarmy’ true? If so, then how true? Would an adversary really need to spend $1 Billion to gather the people and resources necessary to mount a cyber attack? While I have no personal knowledge of what Iran has or doesn’t have it is reasonable to assume that they have some cyber capability – how much remains open to question. However, then can we say for certain the that the media promotion of their alleged capabilities is a PSYOP success because they really don’t have very much, or a triumph of investigative reporting because the media has uncovered this heinous threat against the US? Hot Spot Prevention – A MISO Mission? April 18, 2012’s USA Today featured a story “Al-Qaeda expands its reach to ‘like-minded’ groups in Africa” (http://www.usatoday.com/news/world/story/2012-04-18/al-qaeda-helps-africa-radical-groups/54399376/1 which is also the photo source). The article talks about Boko Haram, a Nigerian religious sect whose goal is to foster an independent Islamic nation in part of Nigeria. Somalia and Mali are also cited as countries with similar problems. 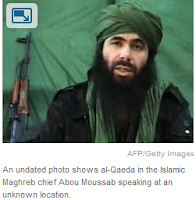 Somalia was singled out due to the merger of al_shabaab with al-Qaeda. Terrorist activity, like organized crime, knows no borders. Conventional wisdom has long indicated that it is easier to prevent something from building to critical mass than it is to deal with a burgeoning organization with seemingly growing momentum and resources. It makes sense for MISO to provide support in environments where we can influence the action. For example many defense contractors are active in Western Africa. Peace Support operations are taking place in a number of countries, some requiring French, Portuguese or Castilian Spanish Speakers. However, the skills being sought are more traditional skills such as combat arms training and staff operations. Isn’t it advisable to help these governments, particularly their military, develop and maintain influence operations expertise? Given the current level of MISO engagement globally and the growing budget pressures, it would seem that the train the trainer approach makes logical sense and is also cost effective. We cannot under estimate our enemy’s ability to weave together alliances wherever disaffected souls or religious zealots reside. The US has long reached the point where we cannot be the world’s savior, consequently it is incumbent on President Obama’s administration to meld Department of State and Department of Defense cooperation and channel resources into the prevention game as a way to minimize conflicts later in this century. Elite Women Afghan Fighters – A Message to be used elsewhere? 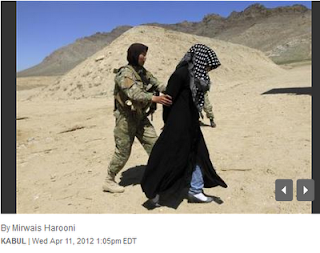 Reuters, Weds April 11 featured an article “Elite female night raiders break down barriers in Afghanistan” (see http://www.reuters.com/article/2012/04/11/us-afghanistan-nightraids-idUSBRE83A0X620120411 which is also the photon source). The article explains how females are being trained to work along with their male counterparts in Afghanistan. Today’s question is: could this story be used outside Afghanistan and if so; for what purpose? Women are clearly repressed throughout the Middle East and elsewhere. If we were championing the message that woman are equal to men – where would that best play out or would it play out at all? Satellite for Afghanistan = Fondue Pots For Namibia? 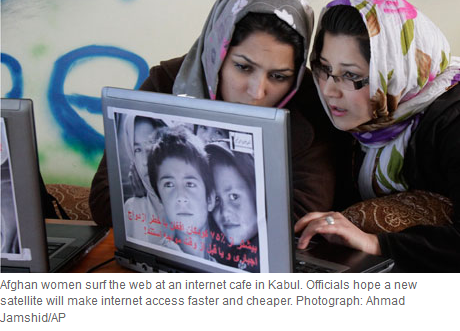 The UK based Guardian reported on April 9, 2012: “Afghanistan announces satellite tender” (see http://www.guardian.co.uk/world/2012/apr/09/afghanistan-satellite which is also the photo source). The article describes how the Afghani government is looking for a partner to help them bring television and the Internet to all parts of Afghanistan. The article also talks about the open and competitive nature of Afghan television and the scrambling for frequencies by broadcasters. When I saw the article I was reminded of the Saturday Night Life Eddie Murphy skit series centered on providing fondue pots for the African Nation of Namibia (see http://snl.jt.org/comm.php?i=F). The implication to me is that the last thing an African developing nation probably needed was the luxury cooking item used for melting cheese or chocolate and dipping items into the resulting gelatinous mass. The population of Afghanistan is overwhelmingly – say 75% or more rural (one source is: http://foodsecurityatlas.org/afg/country/socioeconomic-profile/introduction). While having the signal is fine and dandy, you also need a few other components such as: receiving instruments, electric power for the receiving instruments and, oh yes, a population willing and able to use these new devices and the content for them to experience. Of course such an effort would not happen for quite some time, but it seems to me that MISO in particular should not count on this medium in the near future. A counterpoint could be made that the leaders and more educated population lives in cities and that perhaps there has been a stimulation of migration from rural areas to cities in Afghanistan just has there has been in China and Africa. If so, then beefing up the electronic media profile makes a great deal of sense. My gut however, believes this is a Quixotic effort destined to fail due in part to the fact that investment partners are looking for a return on their investment. The world situation called for something a little lighter this week and so I offer PSYOP and the world of Drag. For my non-American readers RuPaul is a famous American “Drag Queen”. Drag is the slang term for men dressing in women’s clothing. The 29 March 2012 issues of Mail Online (http://www.dailymail.co.uk/news/article-2122130/Chief-army-officer-Afghanistan-orders-guardian-angels-protect-U-S-troops-insider-attacks.html), the on-line version of the UK publication the Daily Mail, had an article “Meet the Taliban Transvestites: Rebels are captured dressed in drag” – which is also the photo source. 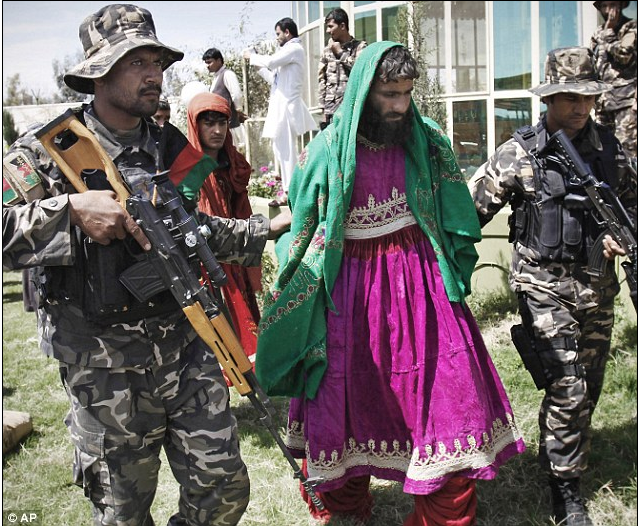 The photo shows Taliban who were arrested east of Kabul. 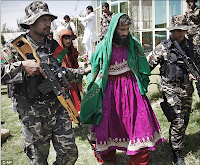 While I’ve never been to Afghanistan, it is my distinct impression that women are not afforded a very high status in Afghanistan and that a man in woman’s clothing would surely be a step down in status. It strikes me that this image and the message “only cowardly men disguise themselves as women” would be a good one for MISO purposes. Likely they would be most effective in areas where these individuals might even be recognized. In any event, the picture struck me as a good diversion from the grave nature of much of what is going on in the world today.